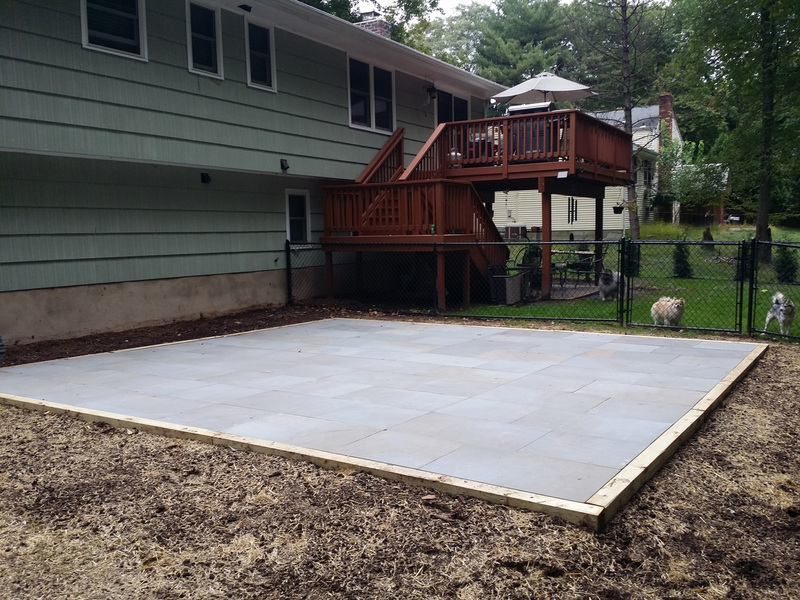 One of the great things when it comes to landscape design and build makeovers is that no matter how small an area is or how confined a space may be; it can always be designed with simplicity and elegance in mind. 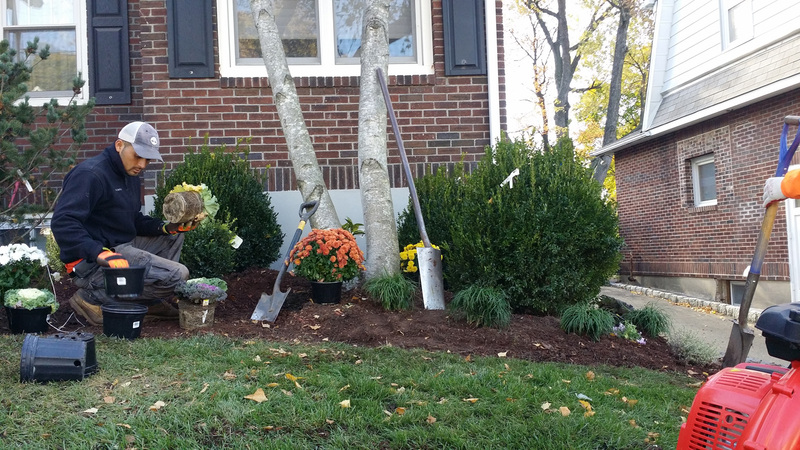 By utilizing the appropriate species of planting materials, any look can be achieved. 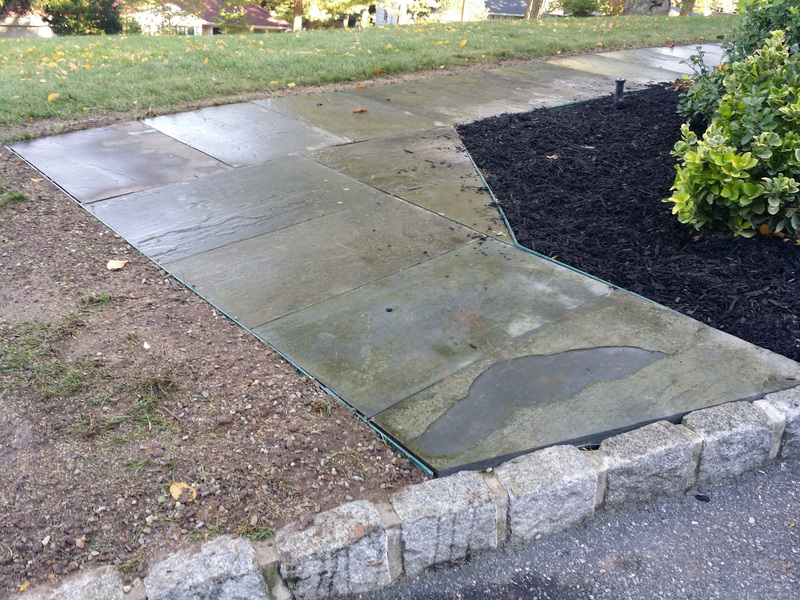 This lawn maintenance client of ours came to me and explained how he was very unhappy with the entrance walk to his residence from the driveway and not looking forward to another winter of snow and ice upon it. This client recently purchased this residential property and had me look at her backyard with her. Neither of us could figure out what the prior owner had in mind with this landscaping when designing the outdoor living area. Fall is a great time to show off in the neighborhood, with all the beautiful colors of the falling leaves, the colorful pumpkins and gourds lying amidst the seasonal plantings of Mums, Ornamental Peppers and late blooming black-eyed susans. Then toss in all the laughter, fun, and excitement of the Halloween season and you have a splendid and festive display. Let’s talk native plants. Trees in particular. And like a good neighbor, trees benefit from having suitable plants growing near them in lieu of invasive weeds and plants that Steal Nutrients and Space. Because native plants are adapted to local environmental conditions, they require far less water, saving time, money, and perhaps the most valuable natural resource, water. With a gorgeous weather forecast for the coming weekend with highs in the low 70s, what a perfect time for getting “dirt under your fingernails” in the yard this weekend.